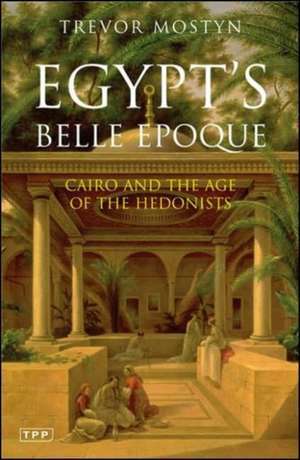 Egypt’s belle époque was a period of incredible extravagance during which the Khedive Ismail’s Cairo became the mirror image, both architecturally and socially, of decadent Paris. The glamour and hedonism of the era reached its peak during the magnificent celebrations for the opening of the Suez Canal in 1869. Kings and emperors, artists, writers and Europe’s most sophisticated flocked to the dazzling new Cairo of sumptuous palaces and Parisian gardens, where Verdi’s Aida premiered at the new opera house and glittering parties were held on the banks of the Nile. But the splendour was short-lived. Only a year after the Suez Canal opened, the Second Empire in France collapsed and the Khedive’s excesses plunged Egypt into crippling debt. Ismail was eventually forced to abdicate, leaving Cairo to the British who occupied Egypt in all but name. This is a riveting account of an extraordinary moment in the history of both France and Egypt. Trevor Mostyn has been a journalist, publisher and consultant in the Arab world, Iran and India. He visited Sarajevo as a war correspondent with Reporters sans Frontières in 1993, and wrote for the New Statesman on the revolution in Iran and the civil war in Lebanon. He was a Financial Times correspondent in Cairo and is Middle East correspondent for The Tablet. His book Censorship in Islamic Society was published in 2002 and he has just finished a romantic novel set in the Middle East. He is also deputy chair of English PEN’s Writers in Prison Committee.